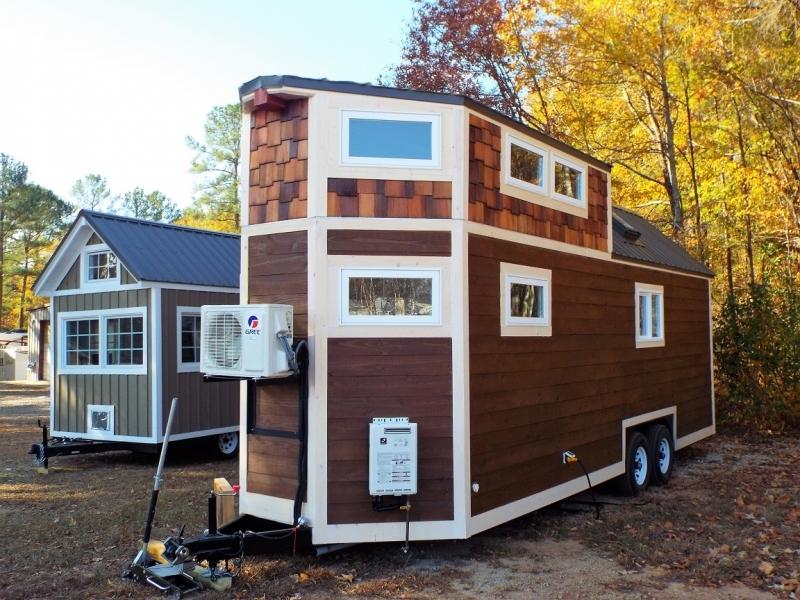 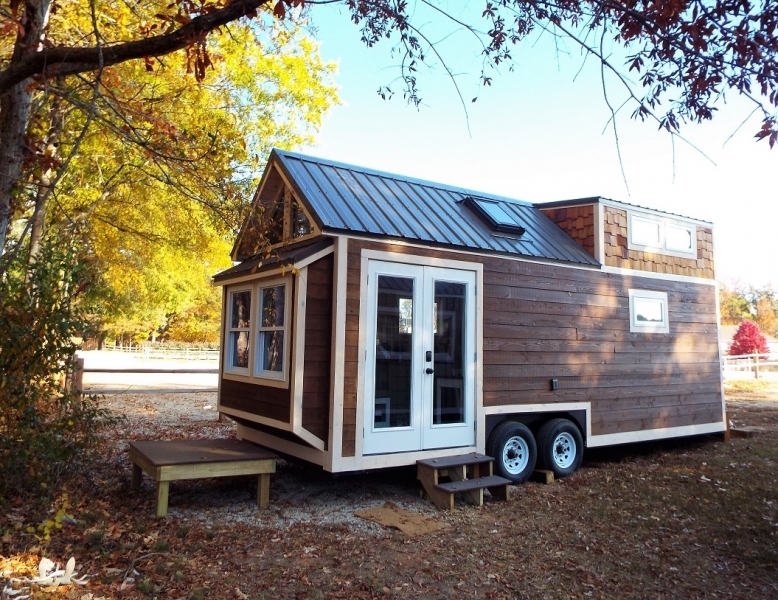 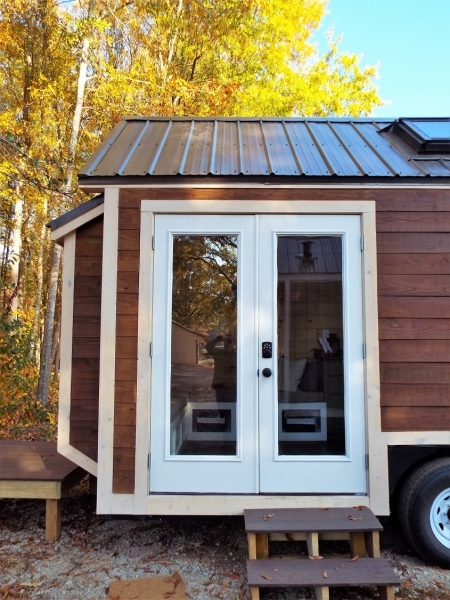 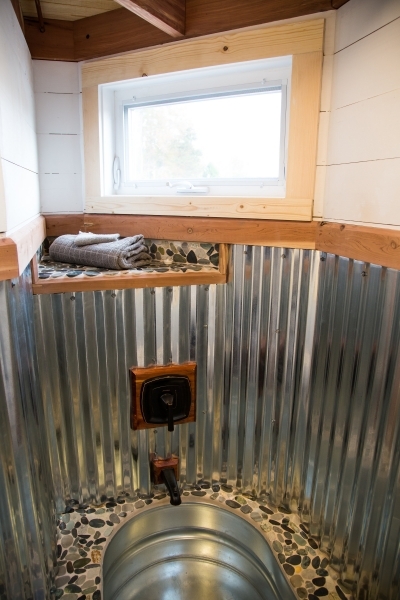 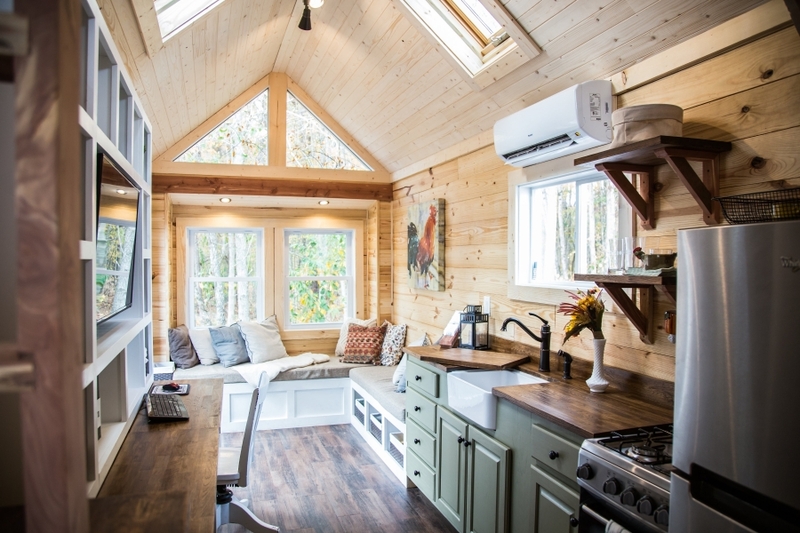 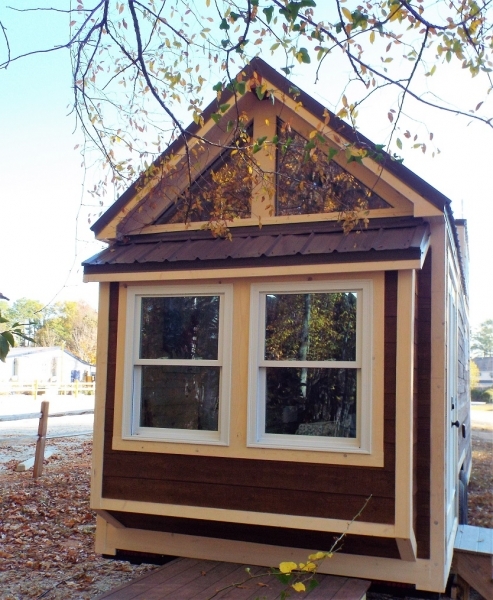 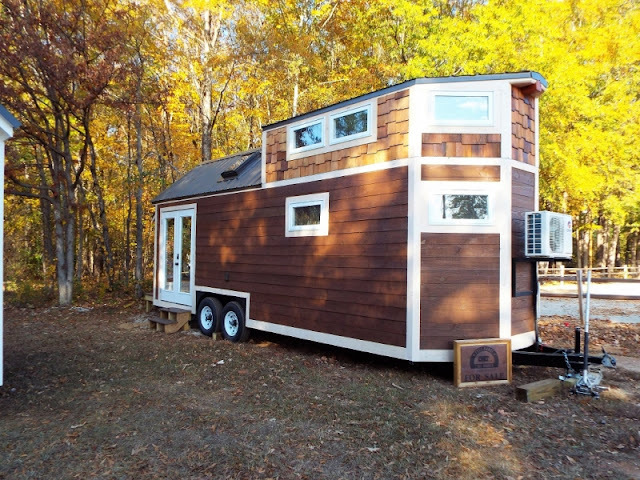 The Skyline 24 is an 8.5 ft. x 24 ft. custom tiny home built by Free Range Tiny Homes. 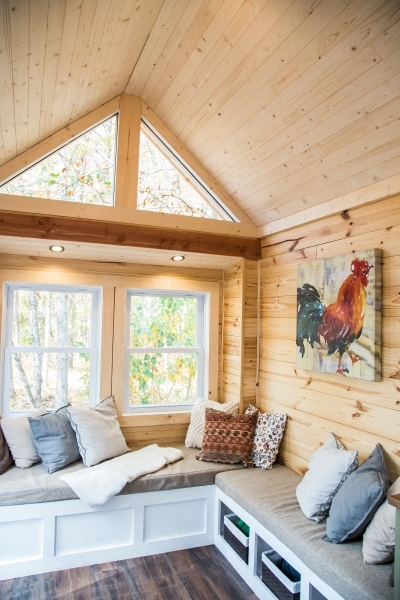 Upon walking through a beautiful, French-door entrance, you will see the open lounging area. 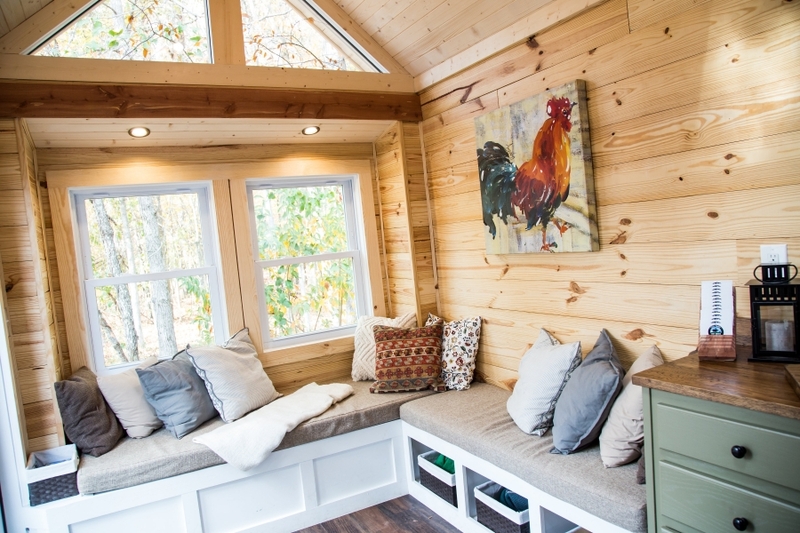 This living area has custom seating along the walls and storage space underneath the seating. After walking through the living area you come to the fully furnished kitchen. 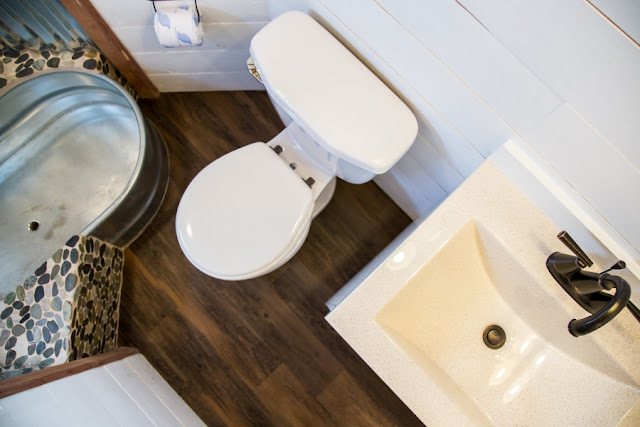 This kitchen has luxury vinyl tile flooring, is equipped with stainless steel appliances and has a butcher-block countertop giving the home an earthy feel. 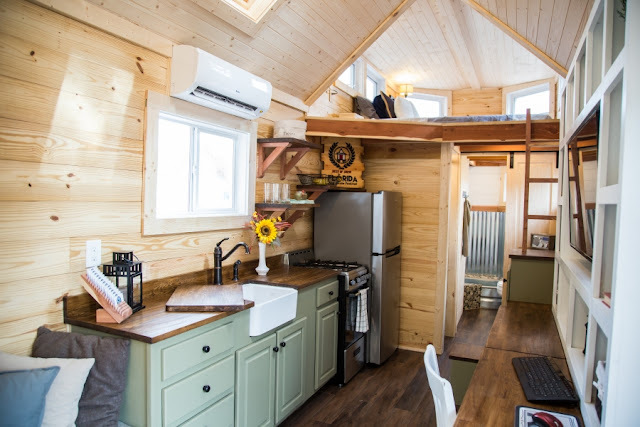 Opposite the wall of the kitchen countertop is a convertible table that can be utilized as an island for extending kitchen counter space, a dining table or a desk. The many windows lining the sides of the house give the home an open feeling and provide an abundance of natural light allowing for work to be done in the house throughout the day. 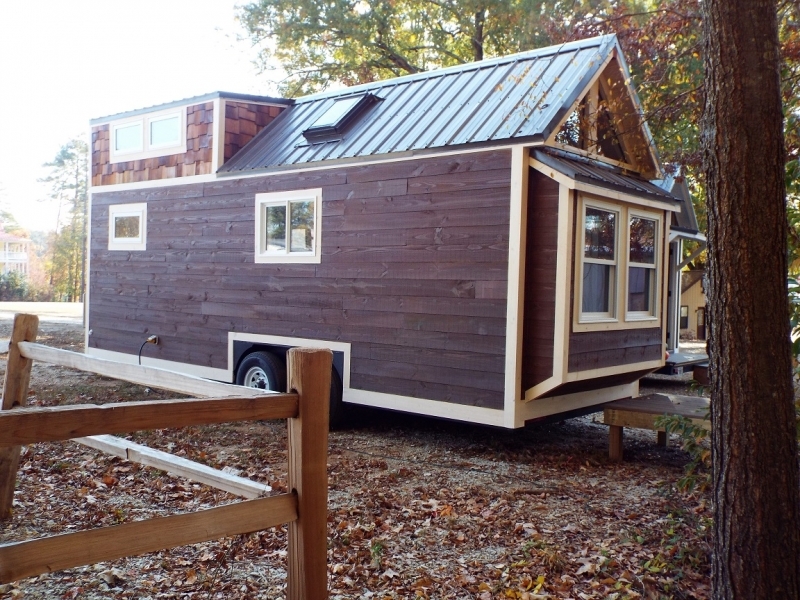 Additionally, this home has a lofted king-sized bedroom and a lovely bathroom. 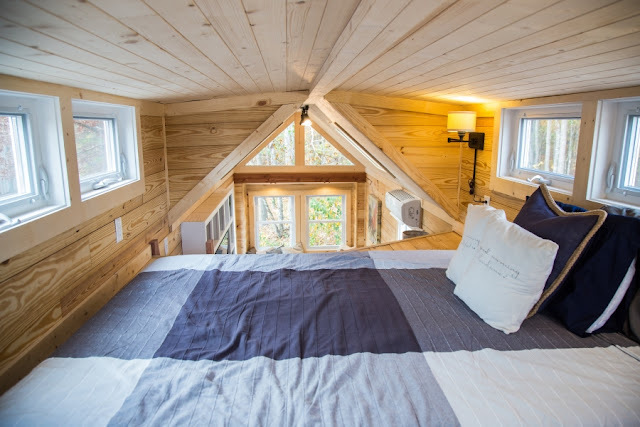 The bedroom is tall enough for one to sit up comfortably while in bed. 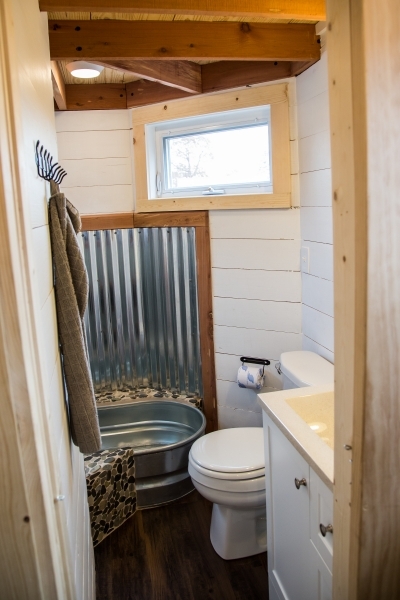 Also, the bathroom has a full vanity with ample storage and a rainfall shower installed over a medium-sized bathtub. 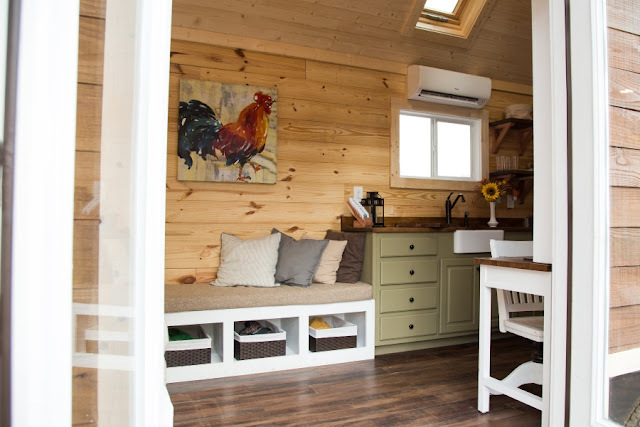 For more information on this clever tiny home, contact Free Range Tiny Homes here!